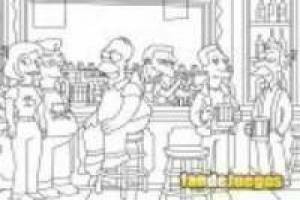 If you are a true fan of the cartoon series The Simpsons now you can have fun with this fantastic game coloring your characters. 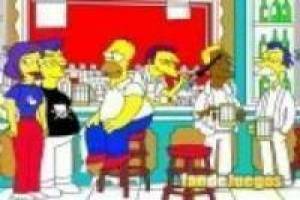 You have a scene in which we find Homer with his friends in Moe' s bar, plus two other characters that appeared in a special chapter. On the right side of the screen you will find a lot of colors and the mouse pointer will have become a brush. You must select the color you want to apply and click on the area you want to color. You can make as many changes as you want or, if you prefer, you can create a first design, save it and then continue playing creating new ones. 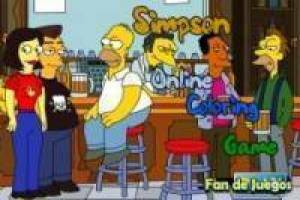 Enjoy the game Paint the simpsons, it's free, it's one of our painting games we've selected.